We’re getting into the 1990s at Maiden Revelations this week. 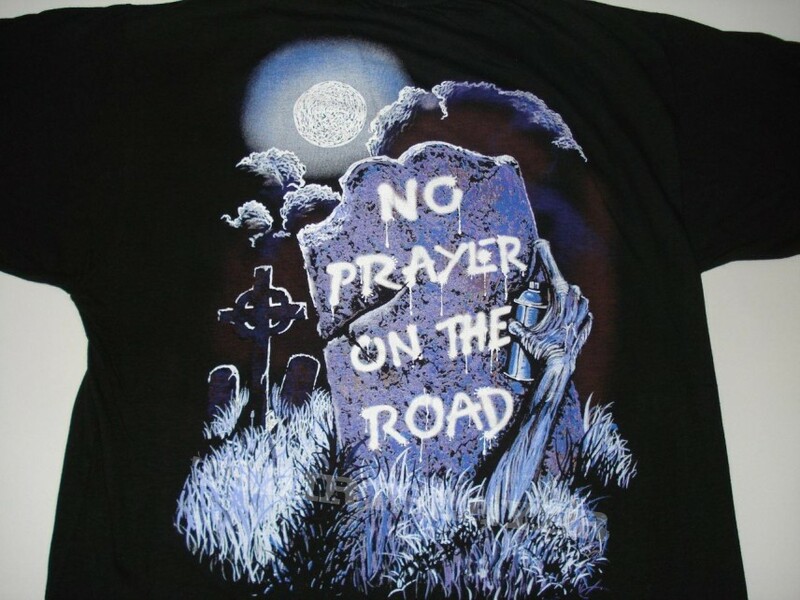 Here’s a show from Philadelphia on Maiden’s No Prayer For The Dying tour in 1991. 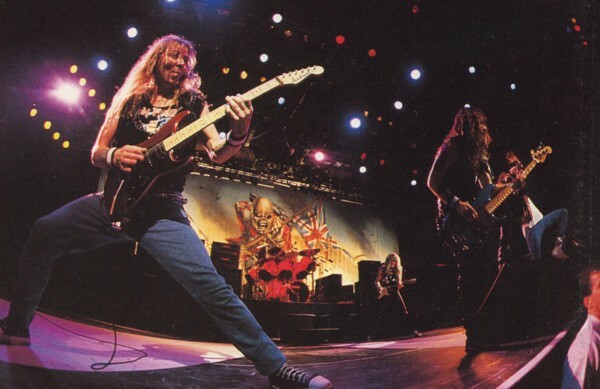 It was a new decade, and Iron Maiden had gone from Adrian Smith to Janick Gers. Their new album No Prayer For The Dying (1990) didn’t set the world alight, but it did show that Maiden had every intention of staying relevant in the 1990s. Their new world tour ditched the conceptual set designs and special effects in favor of a stripped-down back-to-basics set-up with Marshall stacks flanking the drum riser. It might have been necessary as a reaction to the massive 1980s stage productions, but it had the inevitable effect of signaling that Maiden weren’t all that big anymore. Click here to read about Maiden’s 1990s stage productions! Maiden in jeans, making a conscious effort to distance themselves from the massive stage productions they had become known for in 1984-1988. EDIT: The full show video has been removed. Let’s hope it is a sign of something from the No Prayer tour actually showing up on the future DVD release of Donington Live 92, right? The band played The Assassin and Hooks In You on the European tour. The Prisoner and The Evil That Men Do also appeared at a few shows on the 1990-91 tour. A new decade had dawned, and Maiden took certain measures to position themselves. How it worked or didn’t work is an interesting point of debate. How do you all feel about this live performance? Click here for an in-depth look at the making of No Prayer For The Dying, the album that saw Adrian Smith leave Maiden and Janick Gers join in his place! Good point. It seems he hasn’t quite gotten there yet, but he would in 1992. What a great gig! I can’t believe I haven’t watched this before. I know it’s got some of Maiden’s weakest tunes, but NPFTD is just such a fun album, as it seems the live show was as well. Pity they didn’t ever play Run Silent Run Deep or Fates Warning though. Those are probably my two favorite songs on that album. RSRD is my fave by far… and not just because I have a fascination with all things nautical. Compositionally and lyrically it’s one of the most well composed “war” themed tunes they’ve ever done! Would’ve made for some great artwork if it was ever released as a single too… Eddie as a submarine skipper! totally agree i love those two. they should have played them instead assassin and hooks in you. @Adam: Damn right, untapped potential.